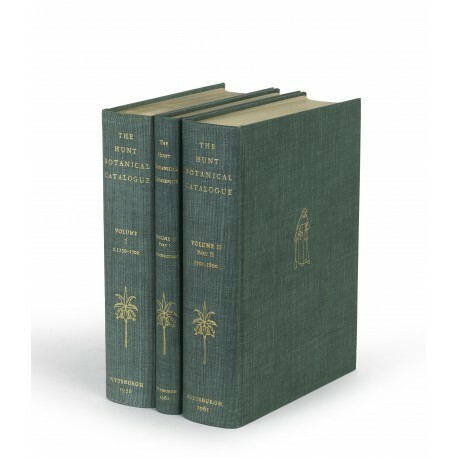 Two volumes bound as three (26 cm), I (1958): lxxxiv, 517 (3) pp., frontispiece, 25 plates. II (1961): ccxliv (2) pp., frontispiece. III (1961): ix (1), 655 (3) pp., 9 plates (some in colour). Uniform publisher’s green cloth, gilt lettering and decoration. 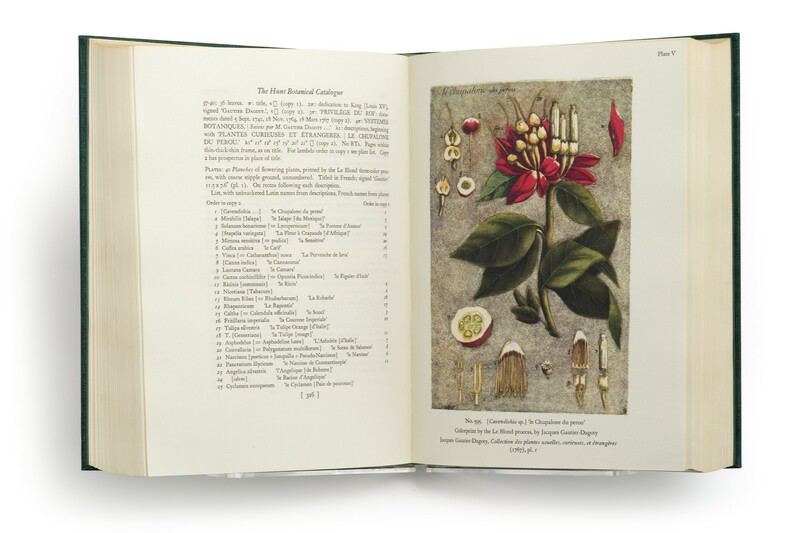 - Exhaustive descriptions of 750 botanical books and manuscripts in the collection of Rachel McMasters Miller Hunt (1882-1963), now housed in the library of the Hunt Institute for Botanical Documentation of Carnegie Mellon University. 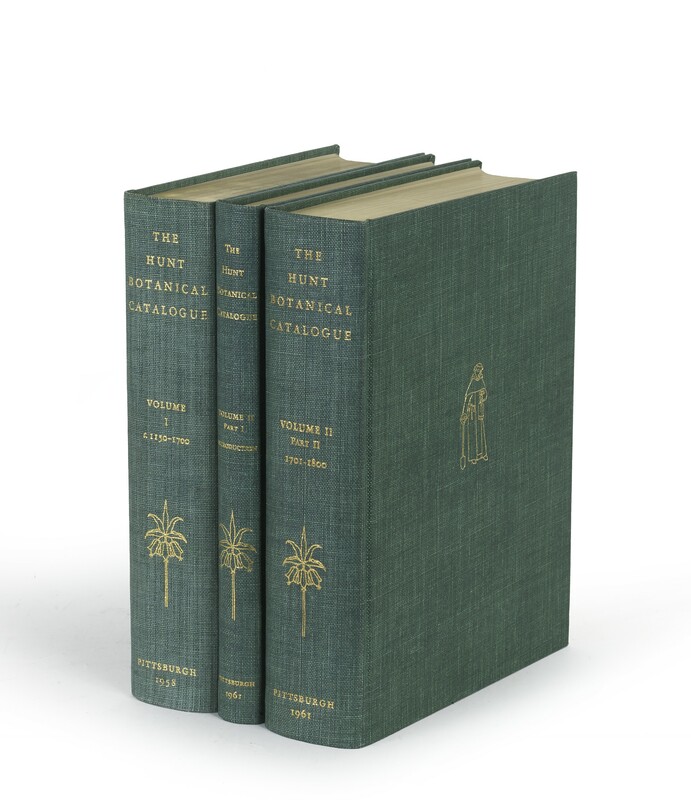 Volume 2, part I, consists of a series of articles on bibliographical method, botanical prints, gardening books, and an excellent survey by William T. Stearn of “Botanical gardens and botanical literature in the eighteenth century”. First edition, printed in an edition of 750 copies. Donald C. Dickinson, Dictionary of American Book Collectors (New York 1986), pp.170-171. ¶ Very fine, unmarked copy.